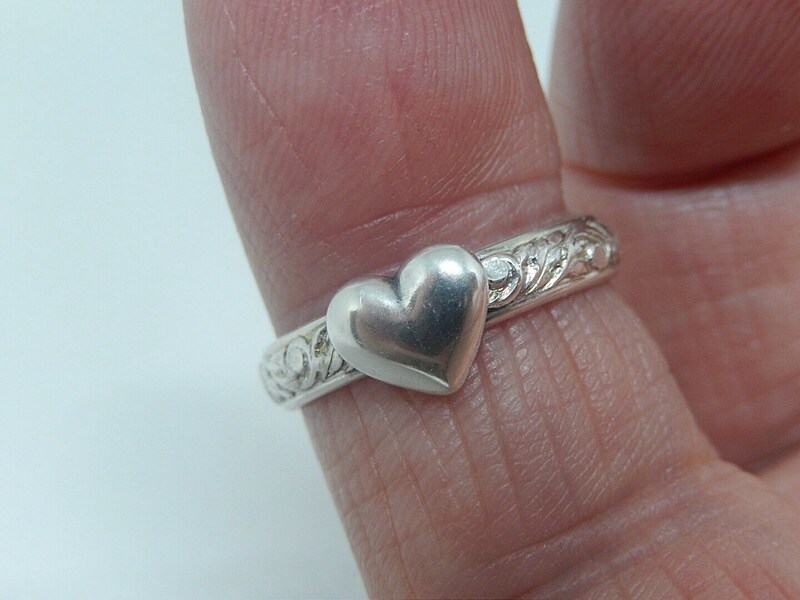 Heart Ring handcrafted in our studio in the USA. 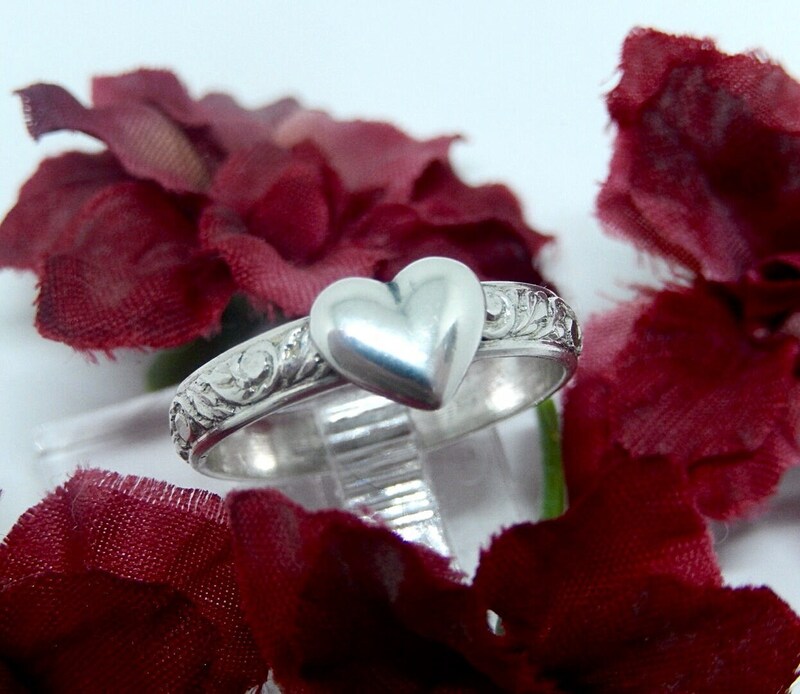 A cute sterling silver heart is mounted to a hand rolled filigree ring shank. We do not mass produce these rings. 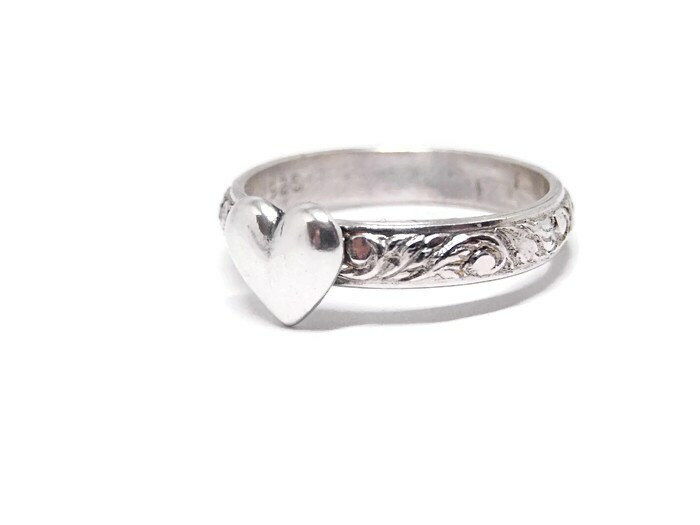 Each ring is made specifically for each customers order. We stamp the final product with a 925 stamp to indicate the purity of the silver used. 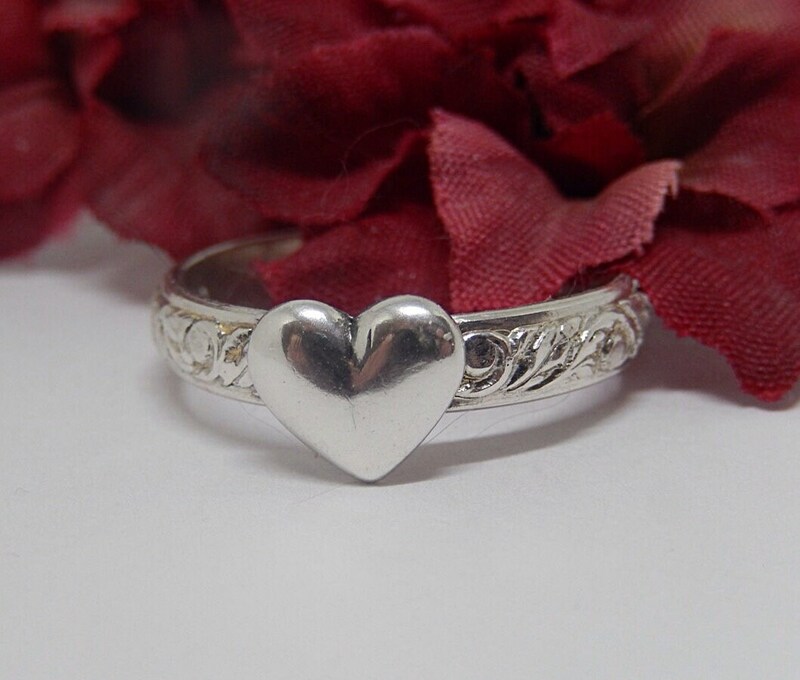 A great gift for Valentines Day or for yourself. Thank you for visiting our shop.